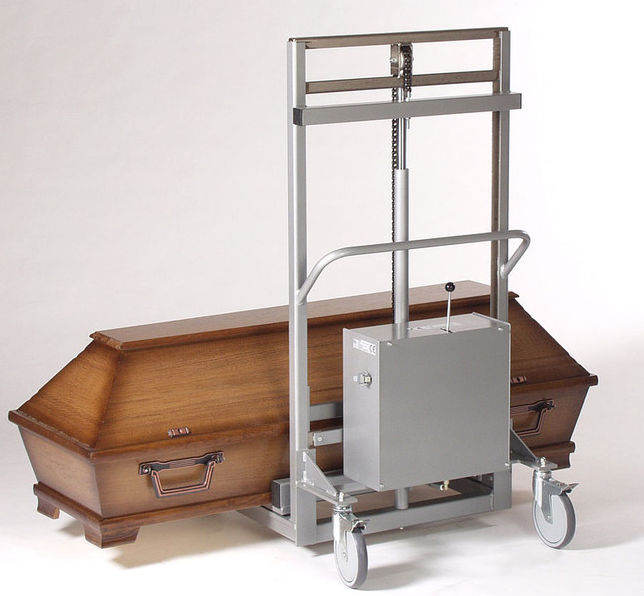 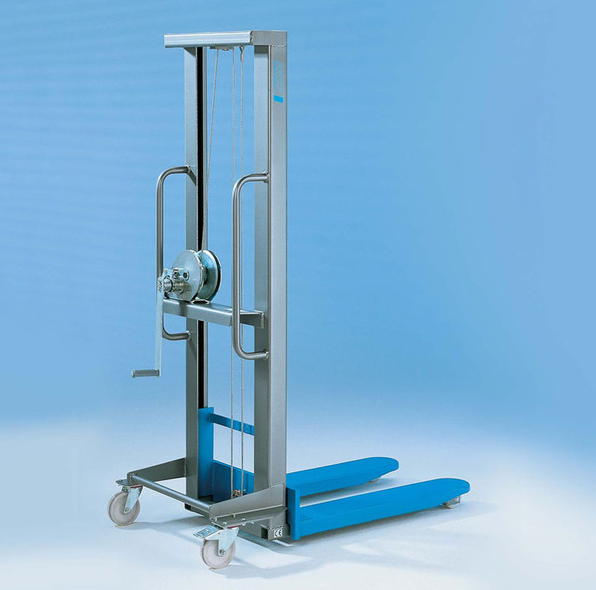 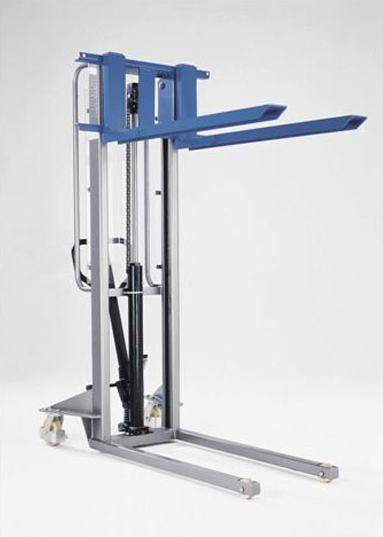 Coffin forklift made of torsion-resistant steel construction, metallic hammertone enamelled. 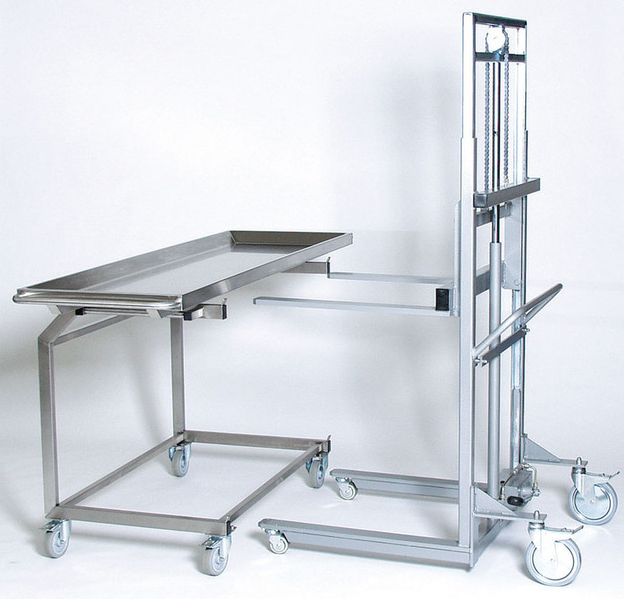 Hdyrauliv device continously height adjustable. 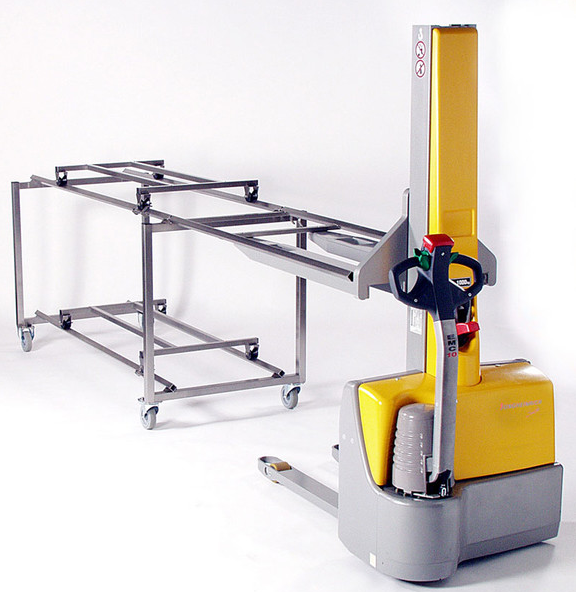 The construction of the Coffin-Forklift guarantees a facile single-operator control.